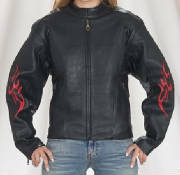 Nice leather jacket with flames on the sleeves and on the back. Zip out insulated liner. 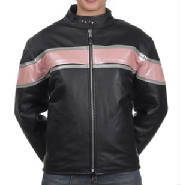 Beautiful Pink braided leather jacket. One of a kind with zip out insulated liner. 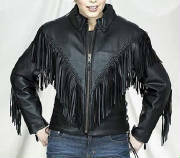 Nice leather jacket with braid and fringe. Removable insulated lining. Nice jacket with vents on back. Zip out insulated liner. 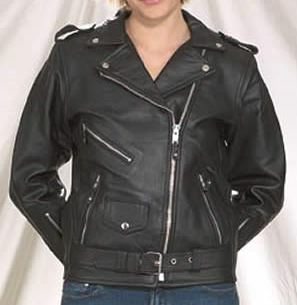 Classic biker style jacket. Zip out insulated lining. Nice rose inlay, with fringe and zip out liner. 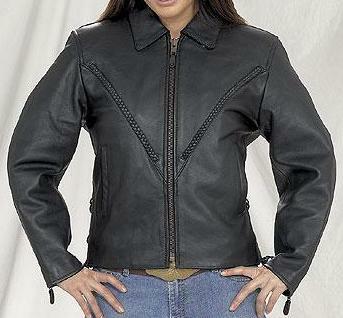 Beautiful braided leather jacket. Zip out insulated liner. 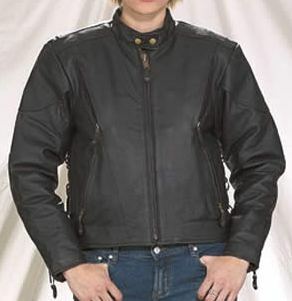 Basic leather jacket with removale insulated liner. 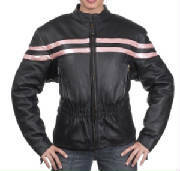 Great jacket at a great price. Flames on sleeves and on back. Removable insulted liner. 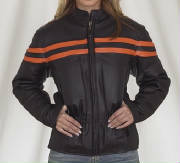 Nice racer style jacket with vents and removable insulated liner. 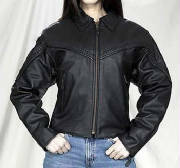 Nice insulated cruiser style jacket with zipout insulated lining. Nice jacket with braid trimming. Removable insulated liner.